discovered 2 boxes of Crewel hardcovers as I was moving this summer. There's a story there, but here's all you need to know: I want to give them to you! 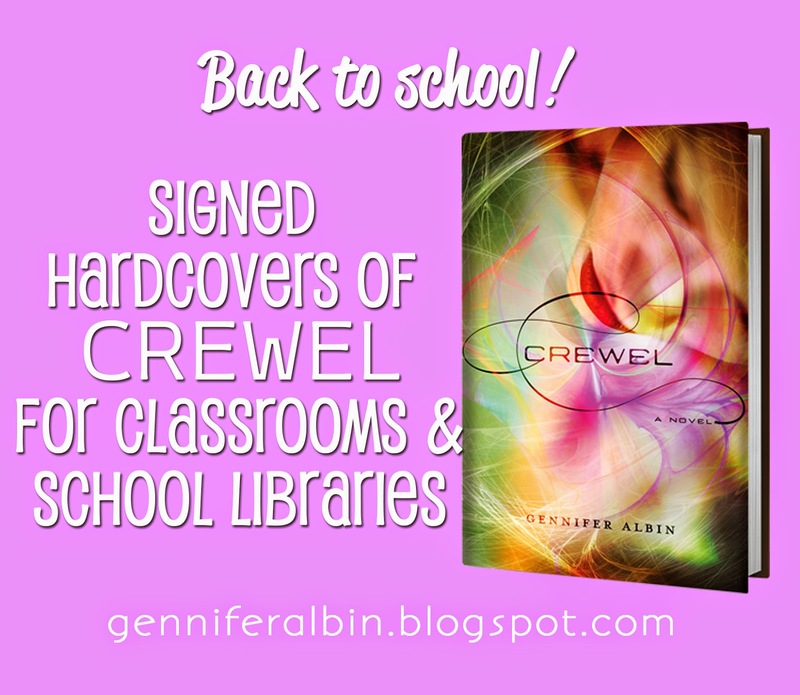 If you would like a signed copy of Crewel for your class or school library, please fill out this form. I have a limited number of copies available, but I will do my best to fulfill all requests. I will be mailing these out the first or second week of September, so please fill out the form soon to reserve one. - Requestor must be a teacher or librarian. - Books must be mailed to a school address. - Requests aren't guaranteed and will be met on a first come first served basis.